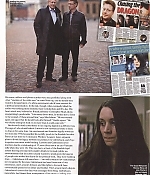 With many thanks to my friend Mariana, exclusive scans from People (United Kingdom, November 2010) and Empire Magazine (United Kingdom, December 2010) have been added to the gallery. 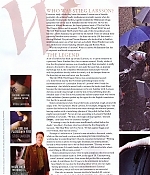 The first is a brief interview on the “Millenium” trilogy and working with Robert Downey, jr. 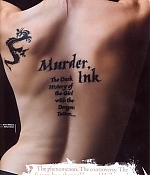 The second is an extensive report on the Stieg Larsson pehnomenom – “how the world and Hollywood caught the Millenium bug” – a very interesting article, so don’t miss. Enjoy!